T-Mobile has just unveiled a new introductory plan that lets customers get a phone without a contract for a lowly $40 a month with unlimited talk/text and 500MB of 4G LTE data - and the carrier's quick to emphasize that this plans comes with no data overage charges for those who run over. The plan is $10 cheaper than the lowest priced "Simple Choice" plan, which charges $50 for 1GB of data instead, and it will become available a few days from now on April 12th. 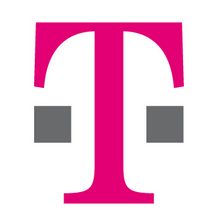 CEO John Legere calls this day 1 of 3 Un-carrier announces soon to come. The last time T-Mobile went all "Un-carrier" on us, it did away with traditional contracts, offered to pay early termination fees, introduced international data roaming at no extra cost, and started giving away 200MB of free data for LTE-enabled tablets. That's enough to get my attention.